What Do I Do If I Have A Ruptured Breast Implant? Home » Blog » Research » What Do I Do If I Have A Ruptured Breast Implant? The number of women who are getting their breast implants removed is increasing more and more year after year. Why might this be? Maybe more women would think twice about choosing to get breast implants if they were more aware of the harmful effects of potentially needing implant removal. Should I Put New Implants In After Removing My Old Ones? 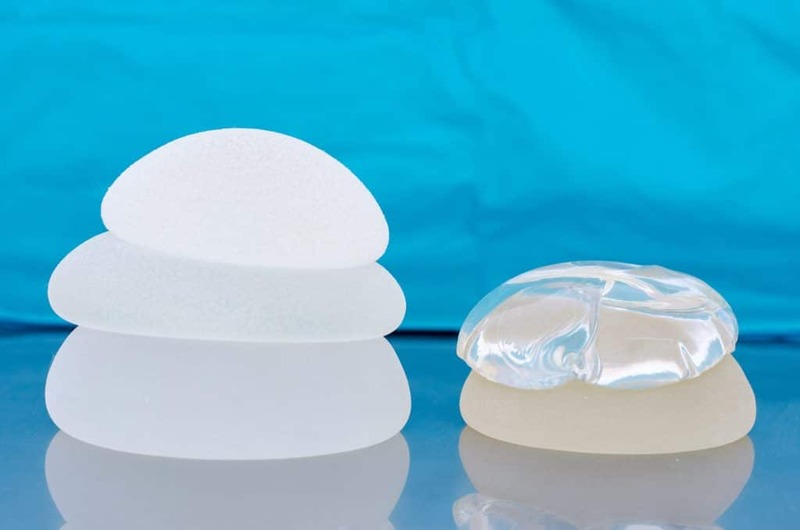 When it comes to breast implants it does not necessarily matter about the size of implants you’re getting, because ruptures or deflation happens in on average 10 to 25 percent of either silicone or saline implants. This is due to capsular contracture to the scar tissue. Your breasts will begin to feel rock hard and that’s when you can begin to realize that you may need to consider implant removal. This typically happens to about 19 percent of women regardless of the type of implant chosen. If you are experiencing complications with your breast implants and have to undergo surgery for breast implant removal, you may not feel like yourself once this is done. Most women who end up having their implants removed don’t end up putting in new ones due to the trouble it caused the first round. In the past year, there were over 38,000 women who had breast implant removal according to the American Society for Aesthetic Plastic Surgery. Most women that go through implant removal have to get used to a new normal. It can be scary to see the change from going to large back to small, but if it is for your safety then it must be done. Most of the time women are getting breast implant removal without replacement due to the reason they had to get them taken out in the first place. This will typically end up leaving a woman’s breasts wrinkled and deflated. Occasionally your breasts can go back to normal on their own, depending on the strength of your sin. Women in their 40’s have a harder time repairing their skin and getting it back to the way it was before breast implants. Keep in mind, not all women are even qualified for a procedure like this. If you started out with very small breasts, the repercussions could be worse rather than helpful. You should speak with your surgeon in regards to this. Are There Any Risks Or Complications Of Implant Removal? Every woman should be aware of the risks and complications of breast implant removal. In fact, if more women were knowledgeable about breast implant removal before even getting breasts, they would save themselves a lot of money, time and most importantly, pain! You should know that replacing breast implants cost is not cheap. The process is just as pricey, if not more, than getting breast implants in the first place. Depending on your body, age and situation it can be between $4,000 to $8,000! It’s unfortunate that many women have to suffer huge financial issues to be able to have their health and safety. Removing implants is not an easy procedure and will cause you to be absent from your everyday routine for minimum a week. If you are a mom or have a regular job, you know that this is a hard thing to do! Not only considering breast implant removal cost, but complications of this procedure is just as important. These are some of the many potential risks that come along with having breast implants. You must consider all things before moving forward with such an extreme procedure. What happens when I have a ruptured implant? Majority of the time when a woman has to go through breast implant removal it is likely because they had bad breast implants placed inside of them. Chances are if you had bad breast implants placed inside your body, common situations like ruptures and leaks are bound to occur. Leaking breast implants are a common caused by rupture of the breast implants. You may experience a ruptured breast implant for several reasons, it can happen by damage from surgical instruments in the process of surgery, overfilling the implant with saline, capsular contracture, closed capsulotomy or excessive compression. These are few of many possibilities that can cause a ruptured breast implant. If you end up experiencing a ruptured implant, you must immediately contact your doctor and breast implant removal will have to take place. Do I Qualify For Breast Implant Removal? There are more and more women getting breast implants year after year. Of course, when you are thinking of getting implants, you more than likely aren’t thinking about ever needing to remove them. If you are one of those women who decided to get implants and are now at the point of needing or wanting them removed, mostly anyone is a candidate for this. Although most women don’t choose to do this, here are some common reasons women go through breast implant removal surgery. Complications with your breast implants: Rupture, Capsular contracture, folding, tension bands asymmetry, displacement, leakage or deflation. Personal choice: Some women are not happy with the job that was done initially whether it is the shape, size or feel of them. Also, it could be because of weight loss, weight gain or pregnancies. What Should I Do After Having My Implants Removed? Unfortunately, if you just have your breast implants removed without inserting new implants your skin will become saggy from the excess skin that was stretched out by the implants. There are natural remedies to fix this problem, but I advise you to be patient because this process will take a bit of time. 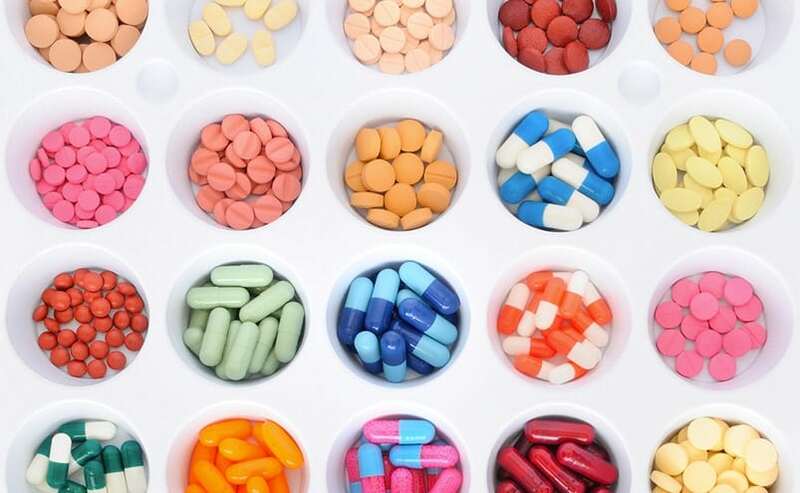 Taking supplements and vitamins that aid in repairing skin tissue, focussing on breast tissue is primarily important. There are plenty of products on the market that claim they do this, but be sure to only look for products containing herbs that work towards restoring new breast tissue in this case due to restoring your breasts after implant removal. All of these ingredients help with breast enlargement, skin elasticity, and proper tissue growth. 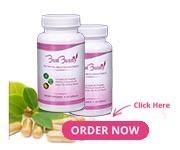 The isoflavones found in some of these ingredients promote increased estrogen levels which turn the isoflavones into phytoestrogens to produce breast enlargement. Also, Chasteberry helps with the stimulation releasing prolactin which is a hormone that helps produce milk and regulates your estrogen and progesterone hormone levels in your body. Taking an all-natural supplement in this time of drastic change and suffering is important. You need to fill your body up with lots of nutrients during this time and at the same time, I’m sure you want to restore your breasts if you are going through breast implant removal without replacement. That is why vitamin C is one of the most important ingredients during this time because you have to produce new collagen as your skin is suffering. Is There A Product I Can Take To Help My Breast Appearance After Implant Removal? 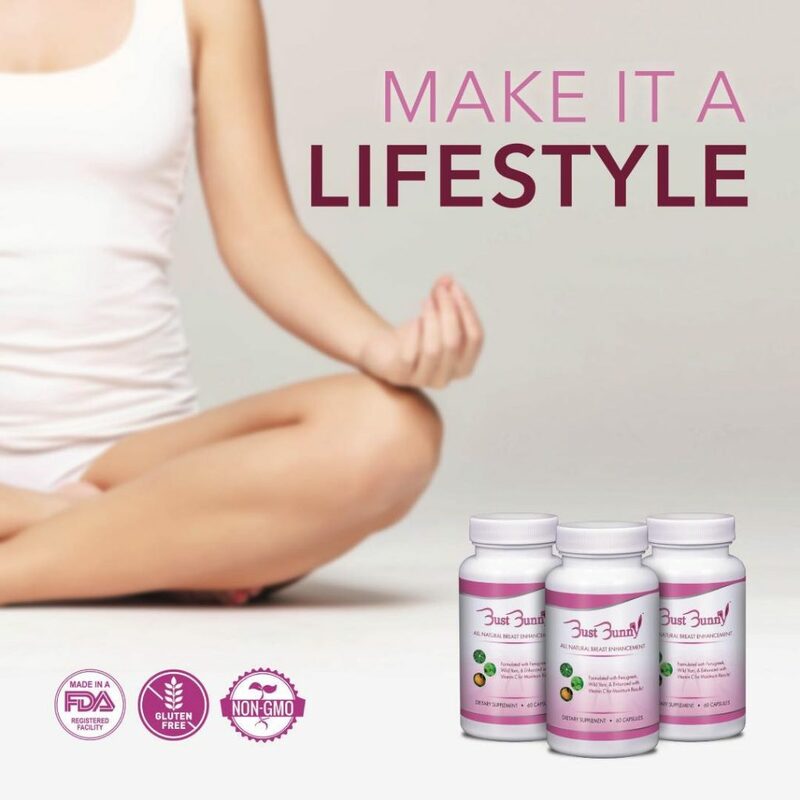 Bust Bunny was created for women wanting bigger breasts naturally without having to go through surgery including all the ingredients listed above, plus more. If you didn’t find us in time, it’s not too late! If you are looking for a way to restore your breasts after implant removal, you can get your breast appearance after implant removal back to normal in no time. Most people see results within 2-3 months of using our product! Removing implants do not need to be miserable, we want to help you gain your confidence back and get your health back. Use this coupon code to get 10% off your first order – “implantremoval” or CLICK HERE to have it instantly applied.